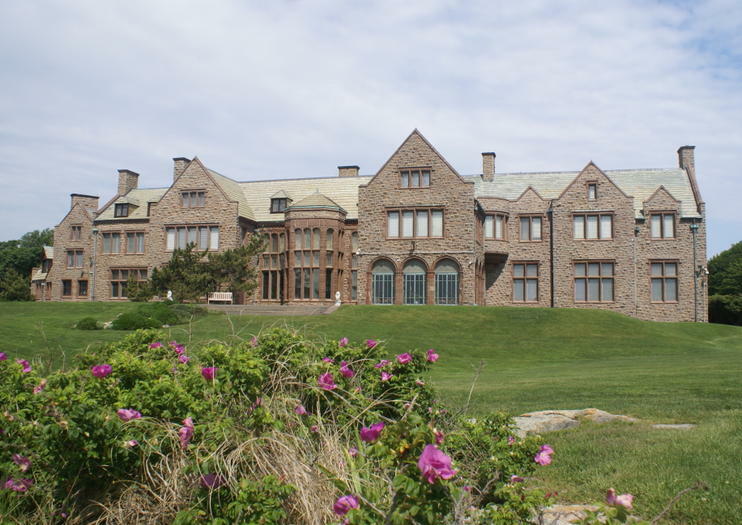 Located on Newport’s exclusive Bellevue Avenue, Rough Point is the oceanfront summer estate of philanthropist and 20th century heiress Doris Duke. The only child of James Buchanan Duke, (a founder of the American Tobacco Company, the Duke Power Company, and a benefactor of Duke University) she inherited an estate estimated at $80 million when she was just 12 years old. Doris Duke founded the Newport Restoration Foundation and spent much of her fortune restoring colonial buildings in the area. She also traveled the world, collecting art and furniture, some of which was used to furnish Rough Point. Duke left the estate to the Newport Restoration Foundation to be opened as a museum. Rough Point is still decorated as it was when she called it home. Duke also donated more than $400 million to assorted charities during her lifetime. Group tours are offered April through November. They last approximately 75 minutes and cover the first floor, Doris Duke’s bedroom and special exhibition galleries. Along with touring the mansion’s interiors, be sure to spend time exploring the Rough Point Gardens. The Formal Gardens feature more than 35 different varieties of dahlias. Vegetables grown in The Kitchen Garden are shared with local food banks, staff and used in educational programs. The operating hours at Rough Point varies according to the time of year. Parking is available at the property and the estate is air-conditioned and wheelchair accessible.